El Salvador is home to about seven million people. Many of the local population are mestizo, meaning an admixture of indigenous and Spanish descent. 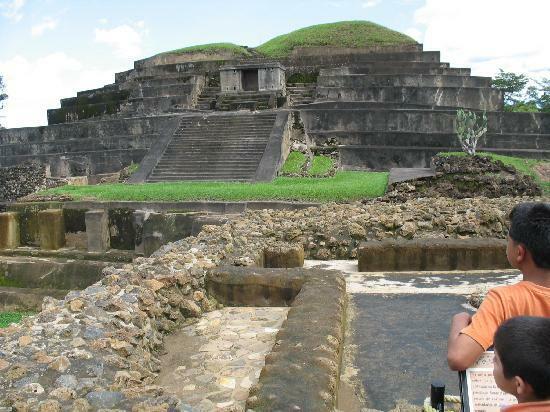 Very few of the indigenous people of El Salvador have been able to maintain their ancient customs and traditions. El Salvador is one of the only Central American countries without a noticeable population of individuals of African descent. 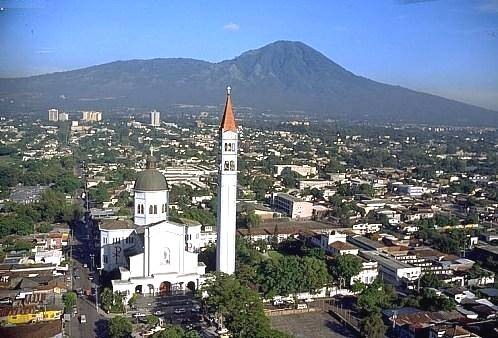 The largest cities in El Salvador are San Salvador (home to about 2 million people), Soyopango, Santa Ana and San Miguel. 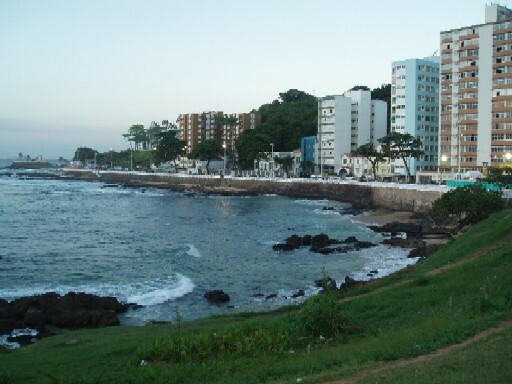 Each of these cities boasts an array of open markets, dance clubs and sporting events. El Salvador is a republic located in Central America, quaintly nestled between Guatemala and Honduras, on the Gulf of Fonseca. El Salvador is home to the indigenous Pipil people. 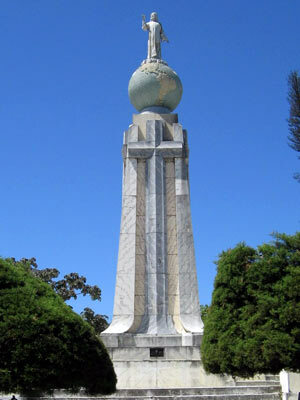 After defeating the Pipil the Spanish settled El Salvador and established what is country's current capitol city, San Salvador. During the year 1810 Central American locals decided they would seek independence from the Spanish crown. By 1839 El Salvador had successfully attained independence. 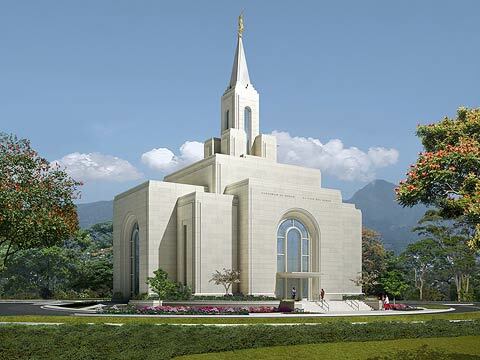 Geographically, El Salvador has a versatile and lush terrain and several rivers flow through the country, helping to shape the country's demographic and agricultural history. Rivers such as the Paz and the Rio Grande de San Miguel are often used by locals and tourists alike, and provide a feast for the eyes. One of the most beautiful areas of El Salvador is the beach at Playa Los Cobanos. Oddly enough, El Salvador does not have a coastline on the Caribbean. The climate can best be described as tropical. The lowlands tend to be consistently hot, while the mountain areas have more moderate temperatures. During the wet season, the country is susceptible to hurricanes and tropical storms. El Salvador's history of feuds and rebellions, as well as coups and local uprisings, stem from the country's lucrative coffee industry. Many feuds over who would control El Salvador's main export helped to shape the history and culture of the nation. During the period of 1980 all the way through the year 1992, El Salvador was shrouded in a cloud of civil war. The Salvadorian civil war, as it is called now, was mainly a battle between the government and a group known as the Farabundo Marti National Liberation Front. Today El Salvador is a democratic republic with a presidential representative. Unlike countries that typically divide and label areas using terms such as states, parishes, and sectors, El Salvador is divided into 14 departments that are subdivided into 262 municipalities. Los Chorros is an area that is a major attraction. This place is very verdant and is the home of many natural springs and pools. It provides an extremely picturesque background and is considered to be one of the most romantic locations El Salvador has to offer. El Salvador's' National Zoo has been ranked as the second most modern zoo in all of Central America, and is very popular. Perhaps the location that boasts the best view is the San Salvador Volcano. This dormant volcano towers over the city and offers a breathtaking view. El Salvadorian nightlife is very festive and entertaining. Many restaurants and venues boast live bands and are very open to dancing. The Zona Rosa area is an often-frequented place when looking for nightlife. La Luna often has exhibits, live music, and dance raves. 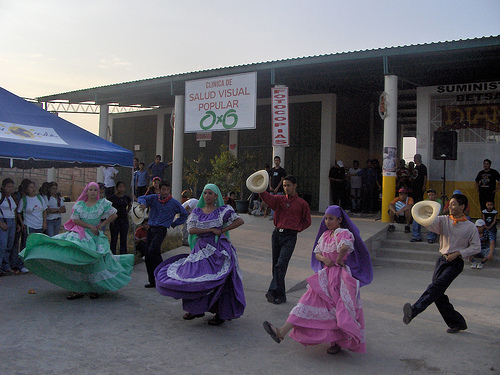 The local Salvadorian Ballet is also a very popular spot frequented by tourists and locals alike. Music is a very popular form of entertainment in El Salvador. Genres such as Cumbia and Reggaeton are extremely popular in the local dancehalls and nightclubs, and Dominican Meringue and Bachata are also enjoyed by the locals. Most of the music of El Salvador has a influence that stems from Spain and the indigenous Pipil peoples. Another popular facet of El Salvadorian culture is sports. Soccer is an extremely popular sport, and friendly pickup games are everywhere. Thanks to El Salvador's abundance of beach area, boating excursions and similar activities are also popular, and fishing is an important pastime. Spanish is the official language and is spoken by the entire population, though some of El Salvador's natives have been able to retain some of their dialects. More than half of the nation's population belongs to the Catholic Church and practice many holidays such as Accords Day and the Holy Week of Easter. El Salvador boasts an array of world-class cuisine and Pupusa is one of the most popular dishes. The homemade tortillas are usually dressed in cheese or beans and are extremely popular. Fried plantain is also a very well liked dish among the local people. Due to a huge abundance of fresh produce, the dishes here rival that of some of the world's best cuisine. El Salvador is a country with a rich history and a lush culture that is just waiting to be experienced, from its mountainous hills to it's tropical lowlands that boast a wonderful hot climate. From the pulsating and sultry salsa clubs to the relaxed and picturesque beaches... El Salvador is a rare land that should be enjoyed in its entirety.